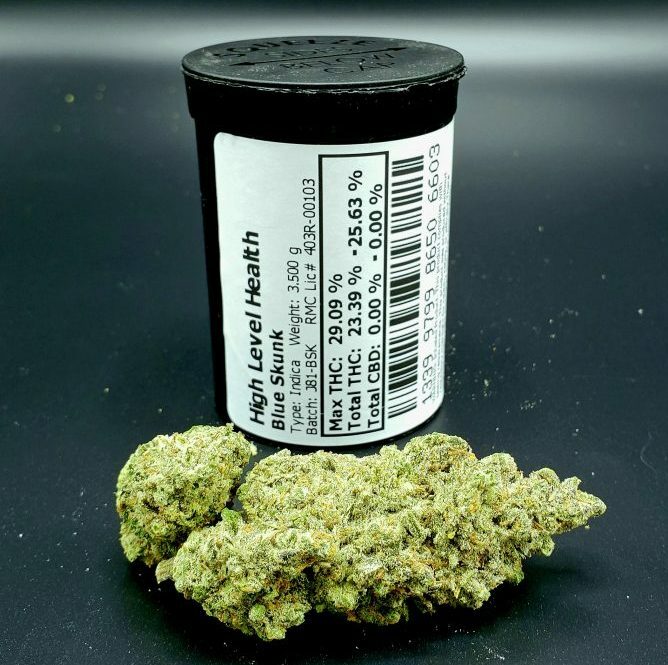 Description: Blue skunk has a strong, clear Indica high that is long-lasting and relaxing. The sweet smell of blueberries will fill your nose as you enjoy this strain. A favorite of employees and customers alike.